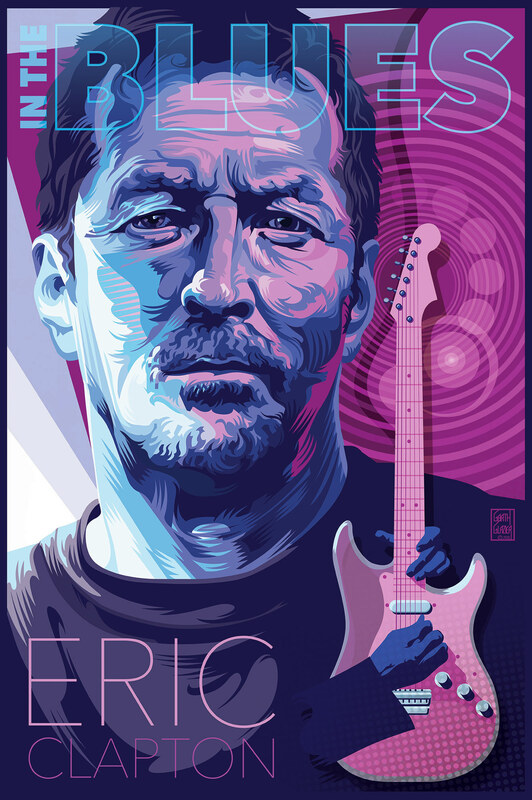 ERIC CLAPTON: In the Blues After a long stretch of work and teaching I finally was able to get back to making some art. I created this poster portrait for my students at Macomb. It is a bit of a return to an older more conservative style for me but seems to work. It was inspired by Clapton's blues influences. This poster portrait is guide for a student assignment TAKE FLIGHT." The second version features the campaign tag line which is required for the poster assignment for Guitar Hero. Students choose a virtuoso performer and interpret the artist's sound into a visual expression. After a long stretch of work and teaching this fall I finally was able to get back to making some art. I created this vector portrait first for my students at Macomb. It is a bit of a return to an older more conservative style for me but seems to work. 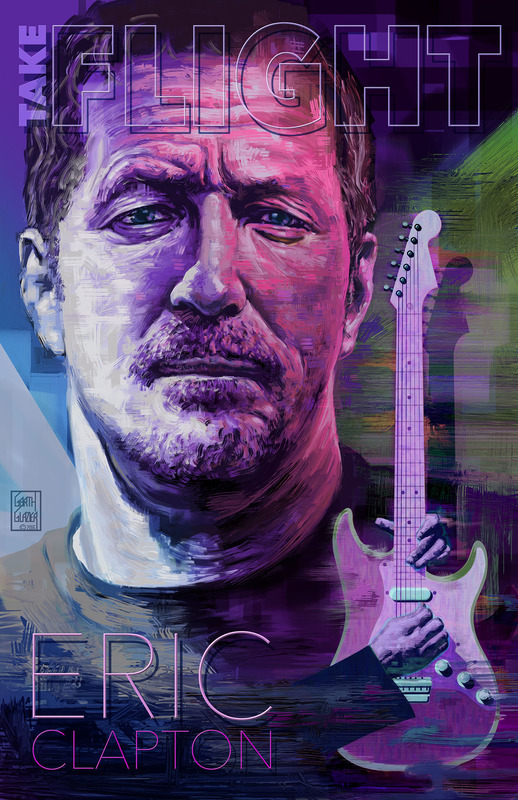 It was inspired by Clapton's blues influences. I then went on to a more aggressive painterly style for the second versions shone above.